My mission as a writer, Bible teacher, and speaker is to encourage others to listen for God’s voice, engage Him in conversation, and think from His point of view. I’m an Advanced CLASS graduate with a Master of Arts in Teaching degree. 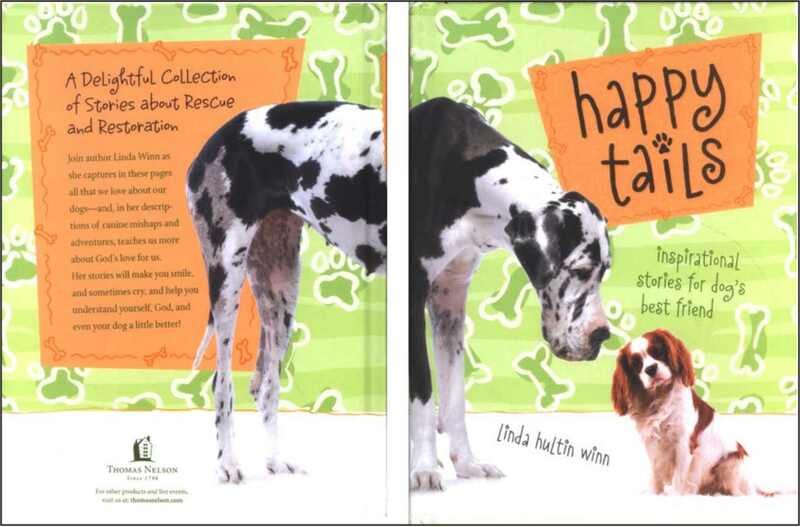 My first book, Happy Tails: Inspirational Stories for Dog’s Best Friend, published by Thomas Nelson, is a result of God moments with my dogs. My current book project is What’s So Great About Being A Christian, and I’m developing the second interactive session in my speaking series, A Gathering of Chicks. 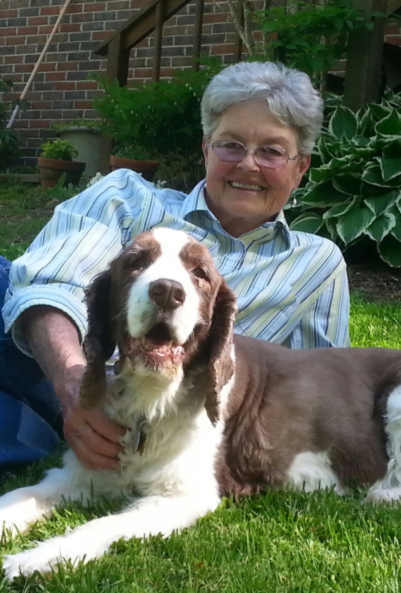 I’m represented by Joyce Hart of Hartline Literary. Below is a chapter from Happy Tails. A couple of weeks after Mac got used to being fenced in, I began letting him run for a few minutes before breakfast. It was the only free run he was allowed, because I knew he wouldn’t be gone longer than five minutes. He didn’t want to miss a meal. But one morning Mac scoured the shoreline of the cove while I stood at the back gate calling him. He bounded half way up the hill and stopped. “Good boy, Mac. Come on. Let’s go to the house,” I said. He looked at me then looked back at the lake. I didn’t know whether he’d rather feed his belly or his instinct to hunt; but I hadn’t won him over yet, so I softened my voice. He took another step in my direction, then he looked back at the lake again. While he was still trying to decide whether to follow my call or to follow the call of the wild, I spoke his name once more. His eyes widened as he watched my hand pull the gate toward me. Then with a sudden burst of energy, Mac sprinted inside before being completely shut out. As we walked to the house I thought, we humans are just like Mac. We stand on the edge of eternity not knowing when that narrow gate will close, but one thing we know for sure. The gate will close. So today we have to make the same decision Mac had to make. Will we follow the Good Master home or will we follow the ways of the world? Jesus said, “Make every effort to enter through the narrow [gate], because many, I tell you, will try to enter and will not be able to. Once the owner of the house gets up and closes the door, you will stand outside knocking and pleading, ‘Sir, open the door for us.’ But He will reply, ‘I don’t know you or where you come from. Away from Me all you evildoers!’ There will be weeping there, and gnashing of teeth, when you see Abraham, Isaac and Jacob and all the prophets in the kingdom of God, but you yourselves thrown out,” (Luke 13:24-25, 27-29). But one day Jesus will step out on a cloud and call His followers to the home He has prepared for us. People will come from all points of the globe to feast in the kingdom of God. Will you be among them? Will you have made the only decision that matters during your life here on earth? The gate is closing now. Do you feel the urgency for deciding? Mac did. He sprinted to be inside the gate with his master. How will you respond? Not to decide is to decide.